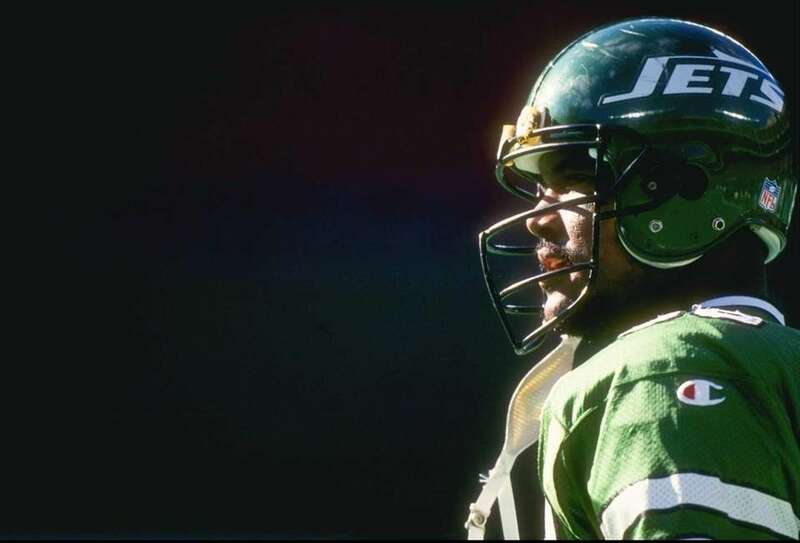 The Jets have drafted well in recent years, but the franchise's history has been plagued with misfires in the draft that go far beyond fans' common laments over the team's selection of Ken O'Brien over Dan Marino in 1983. 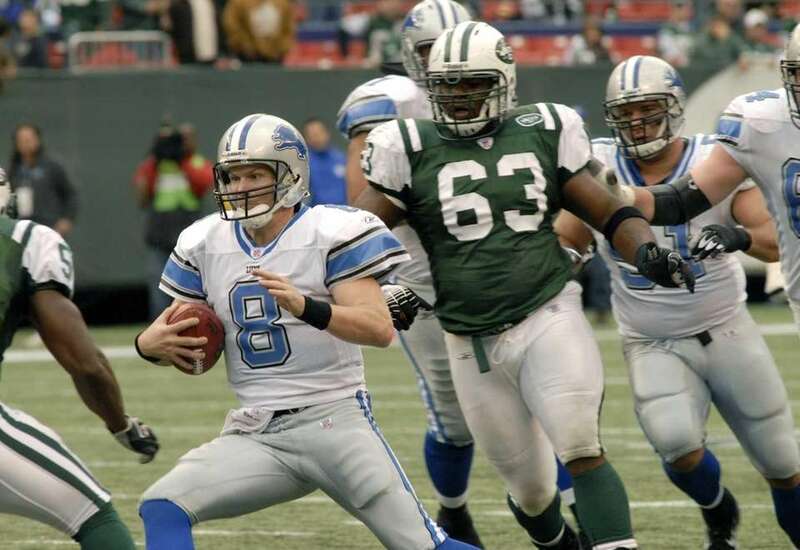 Newsday.com selected nine of the worst picks in New York Jets history. 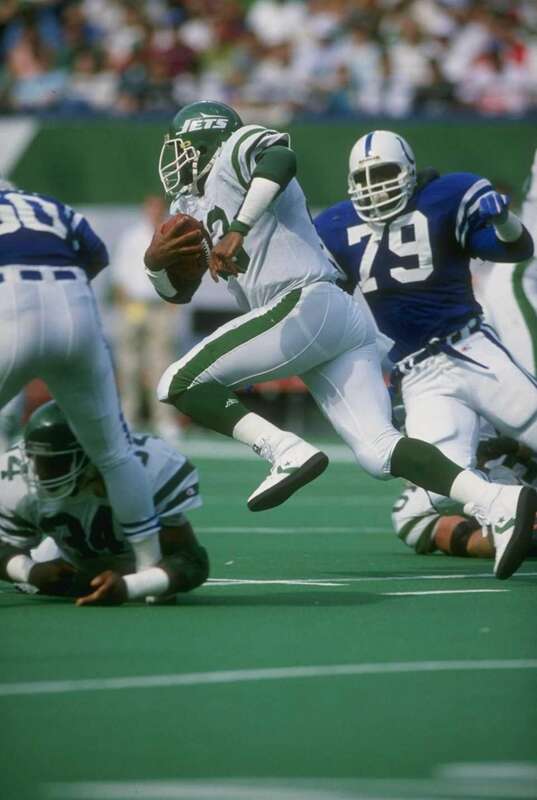 The Jets fell in love with Jones' speed, trading away two future first-rounders so they could select second overall, ahead of future Hall of Famers Anthony Munoz and Art Monk. He had earned a gold medal in the 4x100-meter relay at the 1976 Montreal Olympics. Jones had world-class sprinting ability but didn't have the hands to match: He only caught 138 passes in five seasons wearing green. 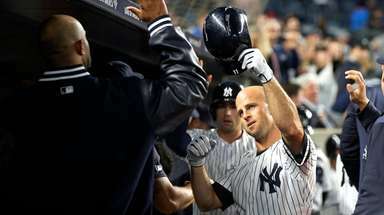 Faurot barely got on the field for the Jets, getting released by coach Joe Walton five games into his sophomore season. After signing with the Chargers, he tore a knee ligament in his first practice with the team, never appearing in an NFL game again. His final stat line as a Jet: 20 games, two sacks, one fumble recovery. The selection of Vick made little sense at the time and makes even less sense now. The burly fullback never gained more than 540 rushing yards in a season and only scored 10 touchdowns in three seasons in New York. 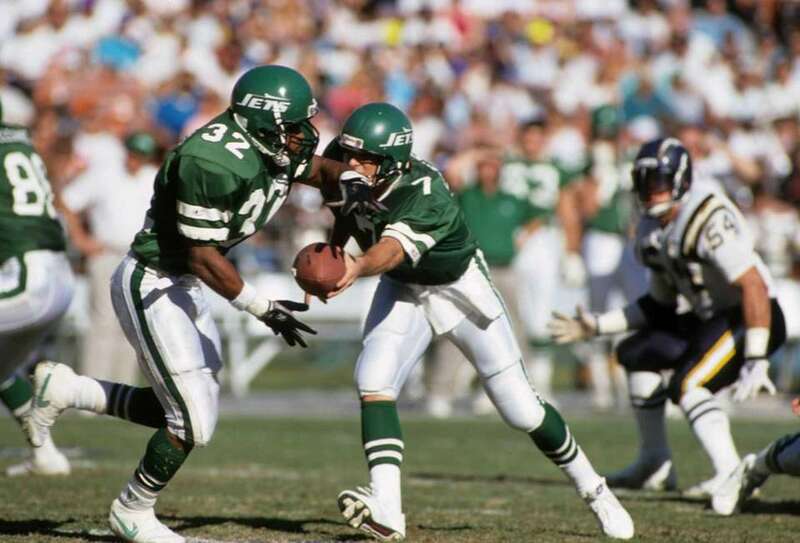 After a cup of coffee with the Eagles and a stint in the long-defunct World League of American Football with the Orlando Thunder, Vick washed out of football for good in 1992. 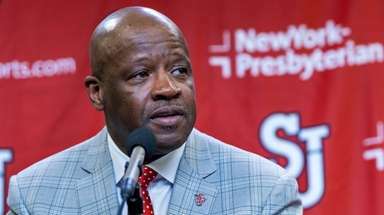 The Jets bungled the second overall pick again when they selected Thomas, the first in a long list of running back busts out of Penn State to reach the NFL. 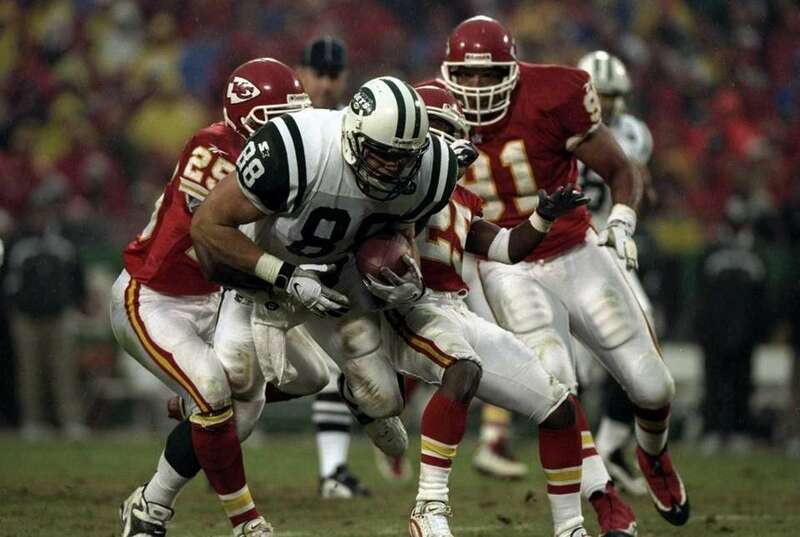 Thomas scored five touchdowns in four seasons as a Jet, never sniffing the 1,000-yard mark in a single season. The 17th pick in that year's draft? Some guy named Emmitt Smith. 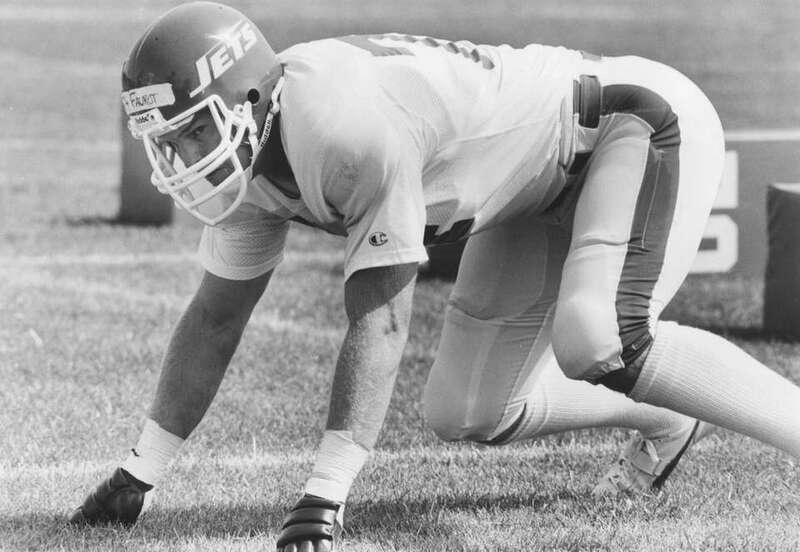 Both the Giants and Jets whiffed on tight ends in the first round of the 1992 draft. 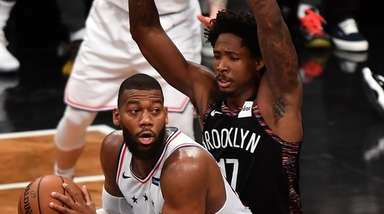 While the Giants' Derek Brown couldn't get on the field in the first place, the Jets' Johnny Mitchell couldn't do much with the playing time he got. 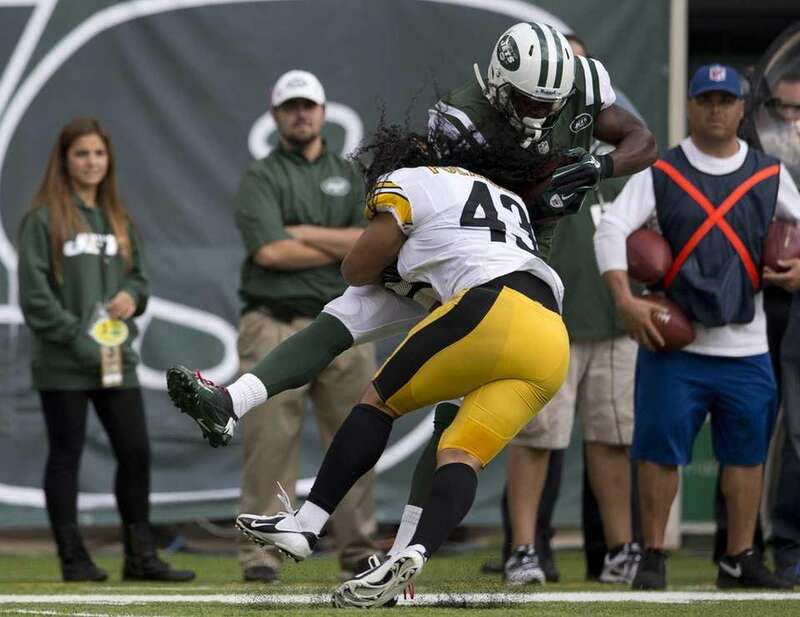 Mitchell caught only 158 of 293 targets in his four years with the Jets. He appeared in four games for the Cowboys in 1996 before calling it a career. 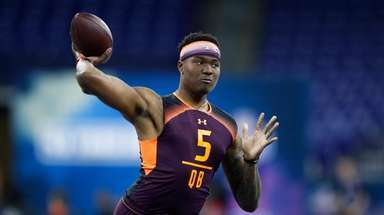 Jets fans who eagerly chanted for Warren Sapp into ESPN cameras at Radio City Music Hall went home disappointed after the Jets selected Brady, a two-time all-Big Ten selection at Penn State. While Sapp dominated interior offensive linemen on his way to the Hall of Fame, Brady was a disappointment. 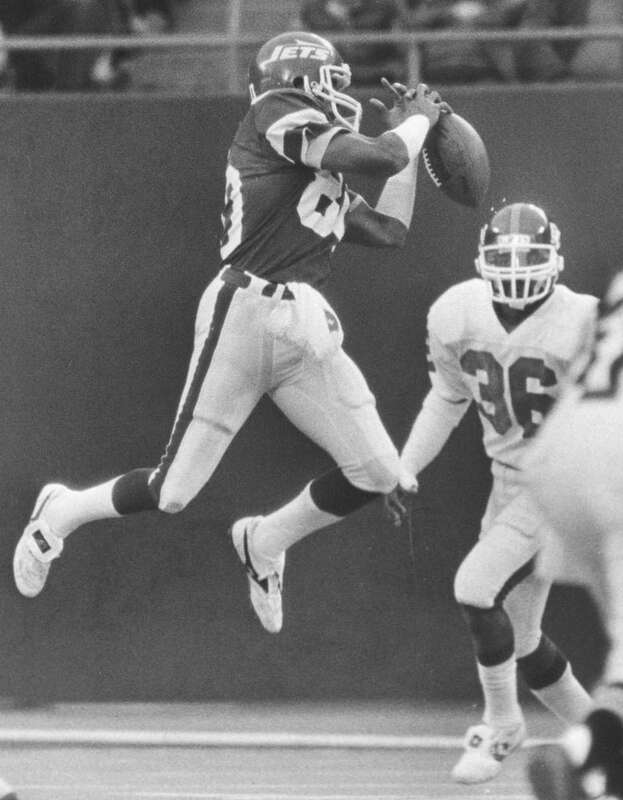 He never caught more than 30 passes in a season for the Jets. To his credit, Brady reinvented himself once he arrived in Jacksonville, becoming a reliable blocker for the Jaguars and remaining in the league until 2007. 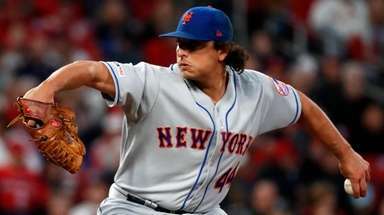 Robertson looked like a keeper after showing off his abilities as a run-stuffer while starting every game in his first two seasons. He was never quite able to adjust to his new role as a nose tackle once Eric Mangini arrived in 2006 and was traded to Denver bfore the 2008 season. Robertson lasted one season with the Broncos before his career ended quietly. 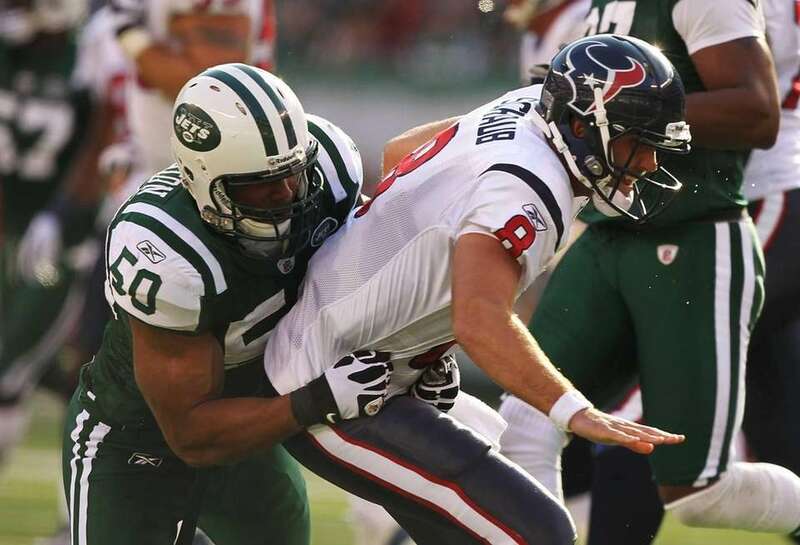 The biggest Jets disappointment in recent memory, Gholston never recorded a sack in three seasons with the Jets. He recorded only 24 total tackles in that span, starting a paltry five games. Chicago and St. Louis gave Gholston looks in training camp, but he never latched on. Hill caught only 45 passes in two seasons in New York, never developing into the outside threat he was envisioned to be by Rex Ryan. 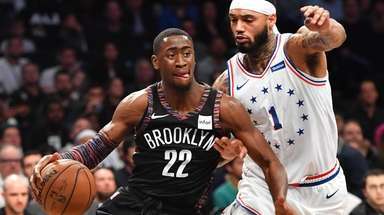 Though he won't be playing in MetLife Stadium anytime soon, Hill has latched on with the Panthers, hoping to find a spot on the roster after he recovers from tearing his ACL in the 2015 offseason.